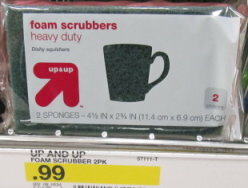 There’s an awesome new $1/1 Up & Up Cleaning Item coupon available on the Target coupon site! Make sure you print a couple, as this can make for FREE foam scrubbers. 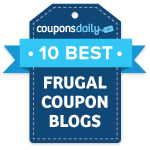 This coupon will likely disappear soon and will be a beeper, but this is considered a cleaning item. Check out the rest of the Target deals.